As it’s the end of the school year I decided to make Hollie’s teachers a thank you card. She has 2 teachers who share the week and a teaching assistant, so I made three cards. 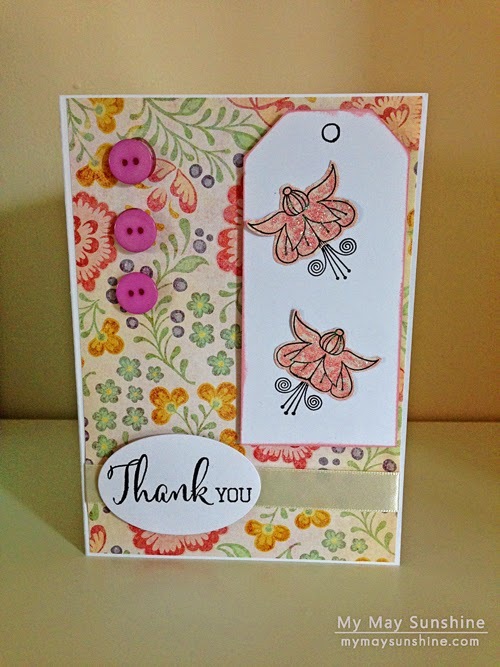 I went with the Clearly Besotted Fabulous Fuchsia stamp set and used the fuchsia outline stamp on some patterned paper. I made a tag to put the fuchsias on but somehow forgot to punch the hole so had to draw it on! I added some Stickles glitter to the fuchsias and I used the sentiment from the same set and stamped it on a oval card. For the patterned paper for the background and the fuchsias I used the Recollections The Sweetest Thing paper pad and just changed the paper for the fuchsias on the different cards, I made 2 cards with the pink fuchsias and one with the yellow fuchsia. I also added some ribbon and buttons for embellishment and inked the edges of the tag to make it less plain. 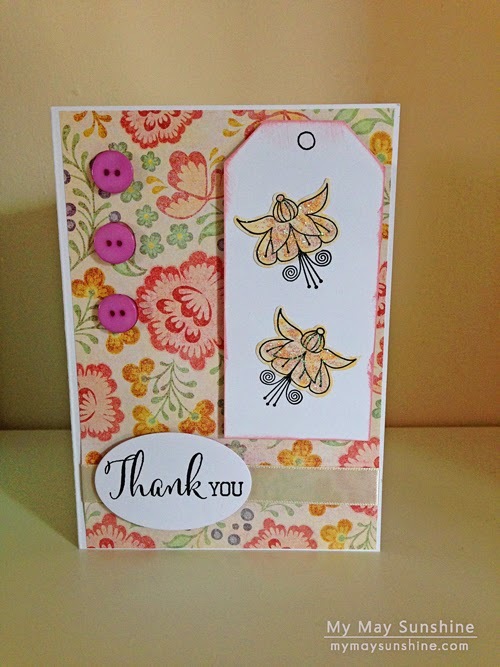 Paper – Recollections The Sweetest Thing | Stamps – Clearly Besotted Fabulous Fuchsias | Ribbon and buttons – Hobbycraft | Stickles crystal glitter. Right I’m off to enjoy the time left before I have to pick Hollie up for the last time for 6 weeks! Next Post Christmas Cards 2014.